Wednesday, June 28, 2017 – Highlands, NJ –Alex Job Racing driver Frankie Montecalvo returns to action this weekend in the IMSA WeatherTech Sportscar Championship at the Sahlen’s 6 Hours of the Glen. The six-hour enduro marks the third round of the Tequila Patron North American Endurance Cup. The last time Montecalvo visited the New York race track was in 2014 with PR1/Mathiasen Motorsports in the No. 52 PC machine. Montecalvo scored a third place finish during the 2014 race and hopes to make another trip to the podium this weekend. “It been a long time since I last ran with Alex Job Racing at the 12 Hours of Sebring. 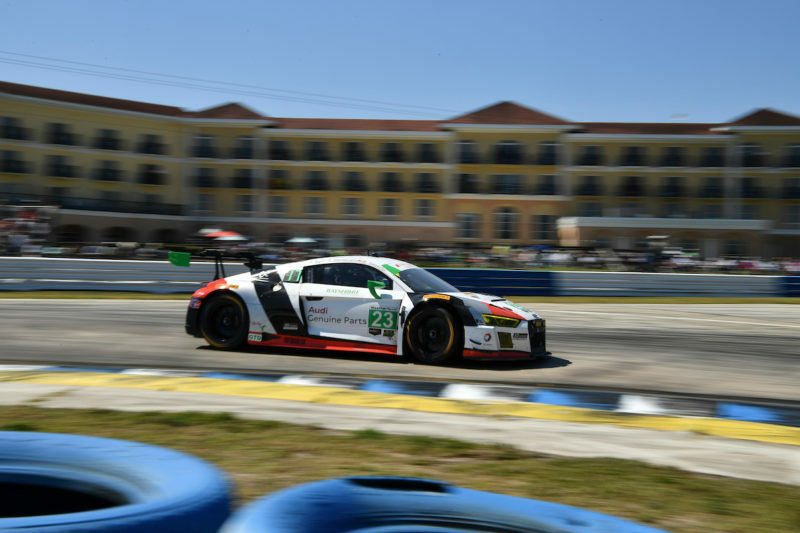 I’m very excited to reunite with the team and to get back behind the wheel of the Audi,” explained Montecalvo. The infamous 3.4-mile circuit saw a full repave at the end of 2015, which gave the track more grip, which also made it faster. Montecalvo is looking forward to turning his first laps in the Audi on the faster circuit. On track action at the Sahlen’s 6 Hours of the Glen begins on Friday, June 30 continuing through Sunday, July 2 with the race starting at 10:10 AM EST. You can watch the race LIVE with coverage beginning at 10:00 AM till 1:00 PM on Fox Sports 1 and then continuing at 1:00 PM till the checkered flag on Fox Sports 2. Also, don’t forget to follow Frankie on Facebook, Twitter and Instagram to stay up to date with all of his racing news!